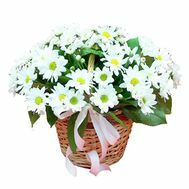 In the section of flower baskets mix are flower baskets consisting of different colors: gerberas, lilies, chamomiles, orchids, chrysanthemums and other flowers. 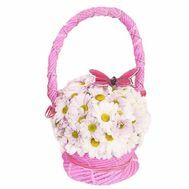 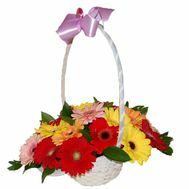 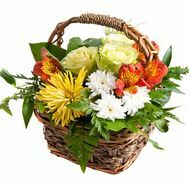 Flowers baskets mix - a bright and unusual gift to any celebration. 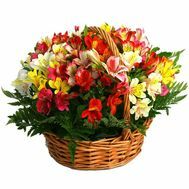 You can change the composition or flowers in any basket of colors. 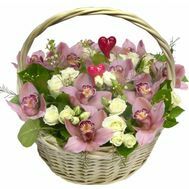 Just inform about it when placing an order and we will help you to change the composition of the bouquet. 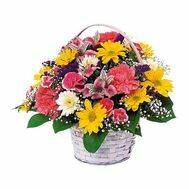 A huge variety of colors and their combinations makes the flower baskets mix colorful and very fragrant. 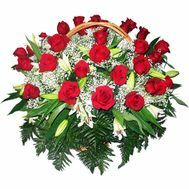 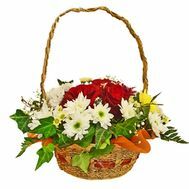 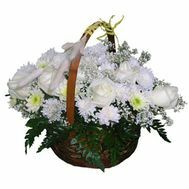 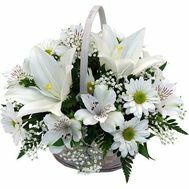 Order a flower basket delivery to your loved ones and they will remember your gift for life. 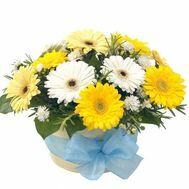 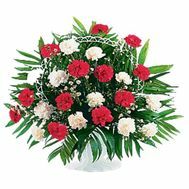 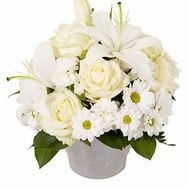 We make delivery of flowers and gifts all over Ukraine and the world.